President Maithripala Sirisena, beleaguered and facing strong criticism about his decision to grant nominations to his predecessor Mahinda Rajapaksa, has asked confidants for a 48-hour grace period ending tomorrow, Daily FT learns. President Sirisena, who has maintained a stony public silence on the issue of nominations for the defeated President, has sought privately to calm the fears of some of the leaders of the opposition movement that supported his candidacy in the January election, highly-placed sources told Daily FT.
Over the weekend, President Sirisena met with several key political and civil society leaders involved with the common candidacy platform at the presidential election, where he was at the receiving end of strong criticism from senior figures who encouraged his presidential bid, Daily FT learns. On Sunday night, President Sirisena also met with the anti-Mahinda group of the SLFP, which walked out of the Rajapaksa Government in November last year to support his candidacy from the common opposition. Several of these Ministers in his cabinet, including Arjuna Ranatunga, Rajitha Senaratne, Duminda Dissanayake and M.K.D.S. Gunesekera, have threatened to quit the SLFP and join the UNP to contest the 17 August election. He promised action at the meeting with his loyalists in the SLFP, but after the President flip-flopped on the issue several times last week, the group told him they would have to make difficult decisions in the coming days, Daily FT learns. At both the crucial meetings, President Sirisena reiterated the remarks he made at the opening of the next phase of the Southern Expressway in Matara on Saturday, pledging that he would not betray his mandate. He attempted to soothe fears and asked irate civil society figures and politicians to be patient for two more days, Daily FT learns. He has also indicated to some SLFP members that he was contemplating withdrawing the SLFP from the UPFA, of which the party was the leading constituent. The President had also indicated at the meetings that he was open to reviewing the decision of granting nominations to former President Rajapaksa, Daily FT learns. 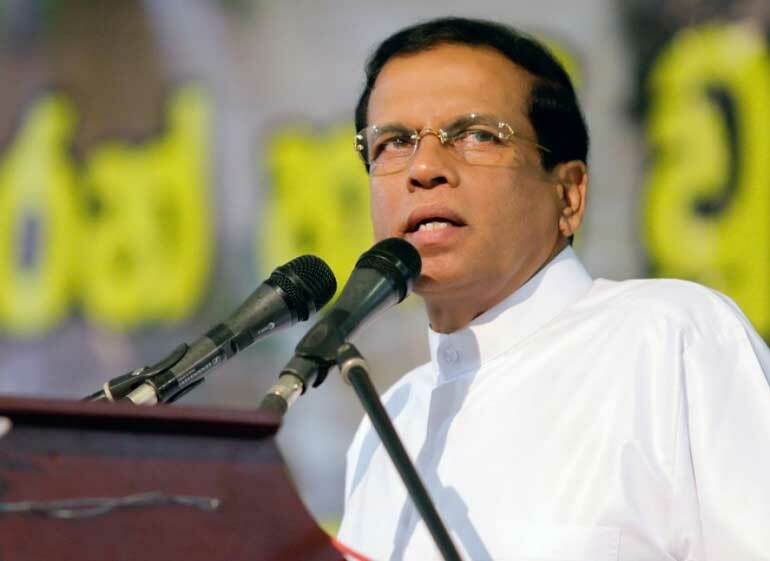 However, Sirisena loyalists are deeply concerned by the President’s reluctance to issue a public statement on the issue that has shaken the country and contributed to fears spreading within the anti-Rajapaksa movement - which worked to defeat the ex-President in the January election - about severe reprisals in the event he reclaimed power. 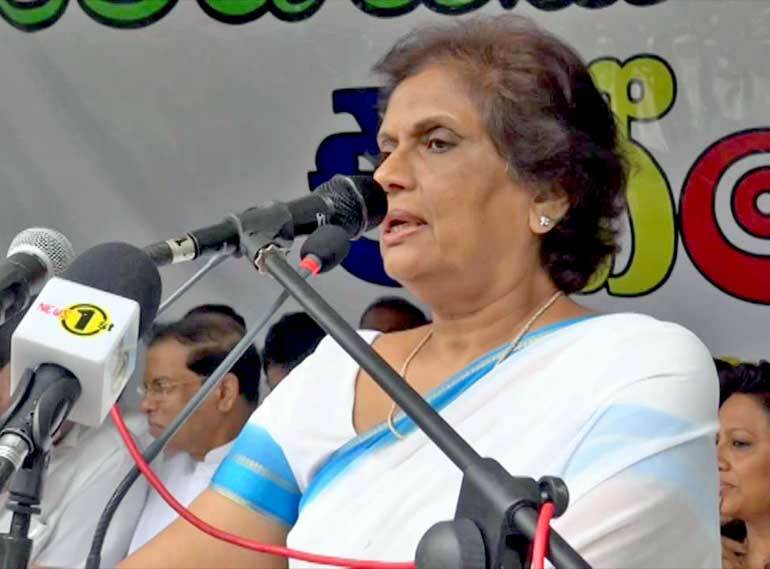 Meanwhile, Ports, Shipping and Aviation Minister Arjuna Ranatunga was scheduled to meet President Sirisena with former President Chandrika Kumaratunga last night. President Sirisena had a packed schedule yesterday, with visits to Polonnaruwa and Kandy. He also attended UPFA provincial councillor Hirunika Premachandra’s wedding in Colombo where he signed as a witness. The SLFP will now move into a crucial decision-making stage, with the former President expected to sign nomination papers from the UPFA on Friday (10). President Sirisena has already made it clear that several Rajapaksa loyalists will not receive nominations, particularly if they are facing corruption charges. The former President has insisted his loyalists must also be included on the UPFA list or he has threatened to pull out of contesting with the coalition. With nominations closing at noon on Monday (13), President Sirisena and the SLFP members loyal to him are running out of time as they try to consolidate their position within the party, whose rank and file are strongly backing the ex-President. The Rajapaksa campaign announced yesterday that it was “postponing” its campaign kick-off rally in Anuradhapura scheduled for Thursday (9). The former President’s Spokesman Rohan Welivita told Daily FT that the rally had been postponed till after nominations close. “It is not a cancellation,” he hastened to add. The UPFA group loyal to the ex-President, also known as the Abhayaramaya Cabal, including NFF Leader Wimal Weerawansa, MEP Leader Dinesh Gunewardane and NLF Leader Vasudeva Nanayakkara, were scheduled to address the media at the Opposition Leader’s office in Colombo 7 last morning. The change of venue from the Abhayaramaya temple in Narahenpita to Opposition Leader Nimal Siripala De Silva’s office initially appeared to be a sign of the pro-Mahinda group of the UPFA merging with the mainstream SLFP. However the briefing was cancelled at the last minute. Welivita said the group had reached a decision that it would not address the media again until nominations closed on 13 July.